Soil should be loosened and raked smooth. A starter fertilizer should be applied, one high in phosphorous content since it will stimulate root growth. A high nitrogen fertilizer should NEVER be used with immature grass because the blade growth that will be stimulated may overtax a root system that is not strong enough to support it. 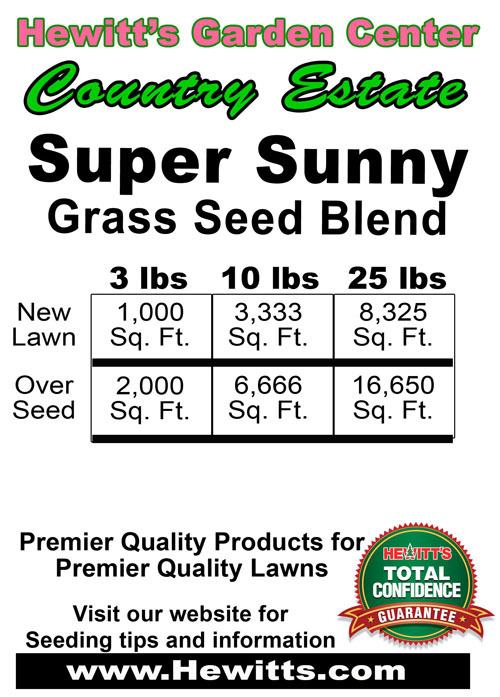 Grass seed should be applied at the recommended rate or heavier (never less). A roller may be used at this point if the are seems uneven. Straw or burlap should be used to cover the area to protect the seed and to keep the sun from drying the seed. Most important of all WATER, WATER, WATER. The area that has been seeded must be kept from drying out. If it does, the seed will die. From the first soaking, the seed has begun to grow. If, at any point after that, the seed is allowed to dry out, it is dead. People have a hard time with this concept so it must be stressed: IF THE AREA SEEDED DRIES OUT COMPLETELY, THE SEEDS (sprouted or not) DIE. This is the reason why fall seeding is best. 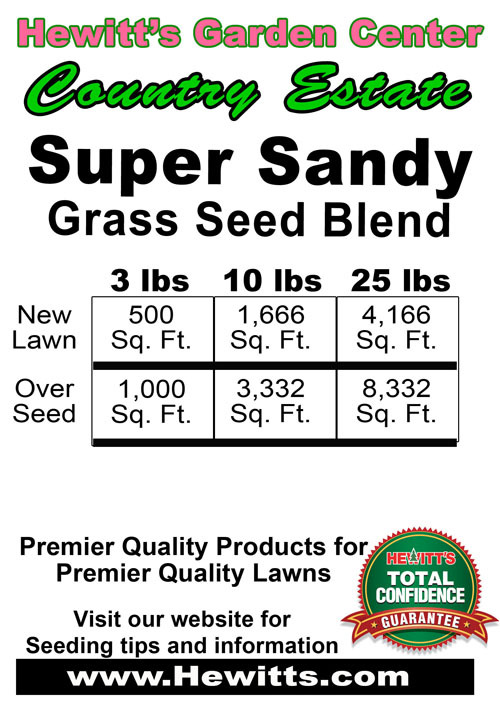 For spring and summer seeding a temporary grass seed such as annual rye can be added to the blend as a “nurse” grass. The rye grass will germinate in about half the time (approximately 7-10 days) of a permanent grass and help hold the permanent grass in place. 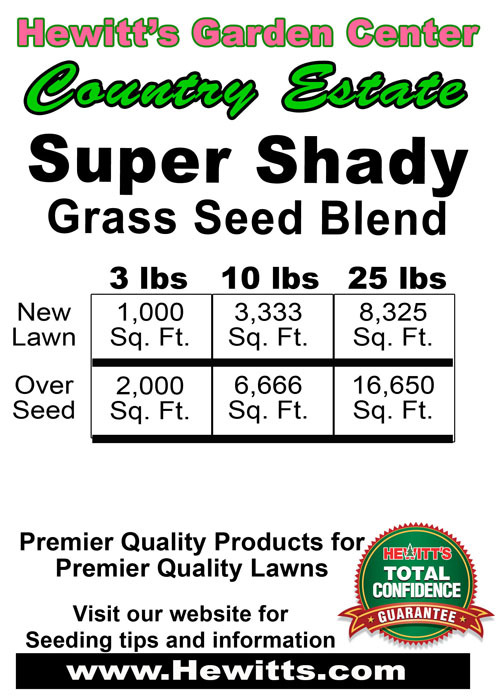 The annual rye will also provide shade that prevents drying out of the seed and sprouts. Do not mow the area until the grass is four (4) inches tall, then only mow off an inch or so. It is best to keep a new area fairly long the whole first season. About a month after the area is sown, the second application of a starter (high phosphorous) food should go down. A third application should go down the following month. High phosphorous food should be used until the area is mature and thick. 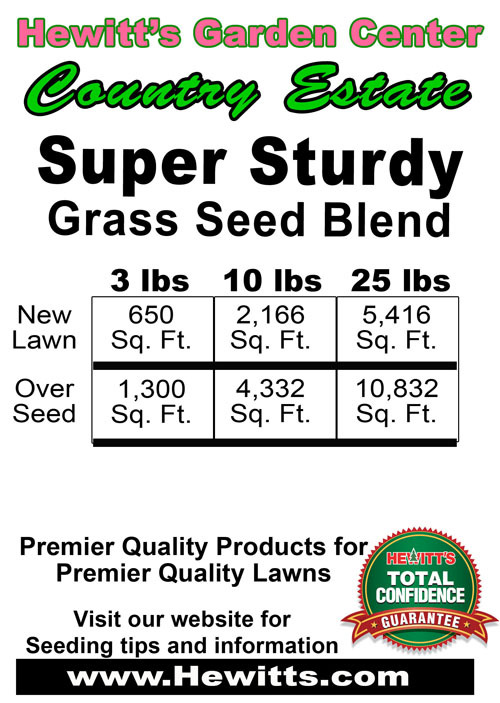 The most economical starter fertilizer would be Country Estate Fas-Start. The properties that make it ideal for strengthening the root system of an established lawn to prepare it for winter also make it exceptional for seeded areas or restoring lawns damaged by grubs.